WellnessImmerse yourself in an oasis of tranquility and revitalise both the body and soul. Experience indulgent Kalahari Signature Massages with healing scrubs and oils or book a skin rejuvenating QMS Medicosmetics Anti-Ageing Treatment. 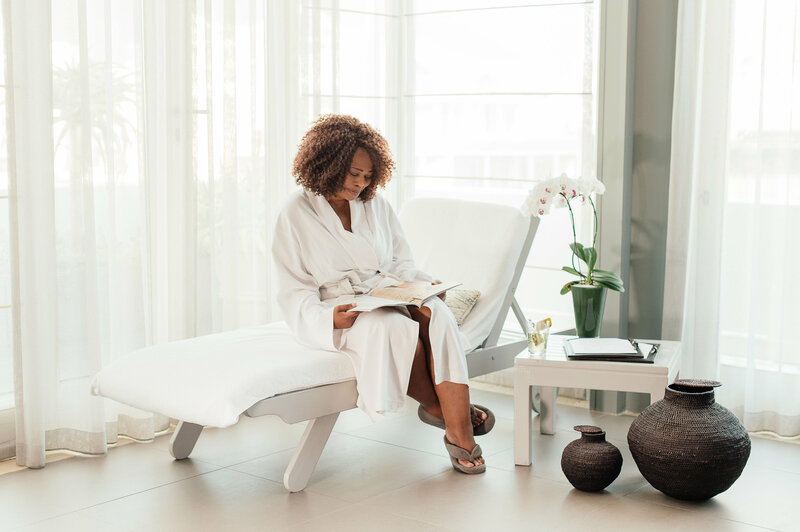 Whether it is time spent enjoying a deluxe Mani, Pedi, hair treatment; or a workout in our fully-equipped fitness studio, those visiting the Spa will leave feeling refreshed and revived from top to toe. Each one of the unique treatment rooms is designed to nurture a sense of peace and restoration. Our gently warmed massage beds and pristine, luxurious linen with heated blankets envelop the senses, while the windows in most rooms reveal softly veiled views of Table Mountain or the marina. Located on the top floor, adjacent to the Spa at Cape Grace, the Fitness Studio is the ideal setting for an exhilarating workout. Private and secluded, the Fitness Studio is reserved exclusively for hotel guests. Specialised personal trainers can be made available to create a workout expertly tailored to your fitness goals, while a one-on-one private lesson with a Pilates or Yoga instructor can also be arranged upon request. Gentle sunlight illuminates a peaceful relaxation area, the heart of our Spa, where we welcome spa guests to recline before and after their treatments. 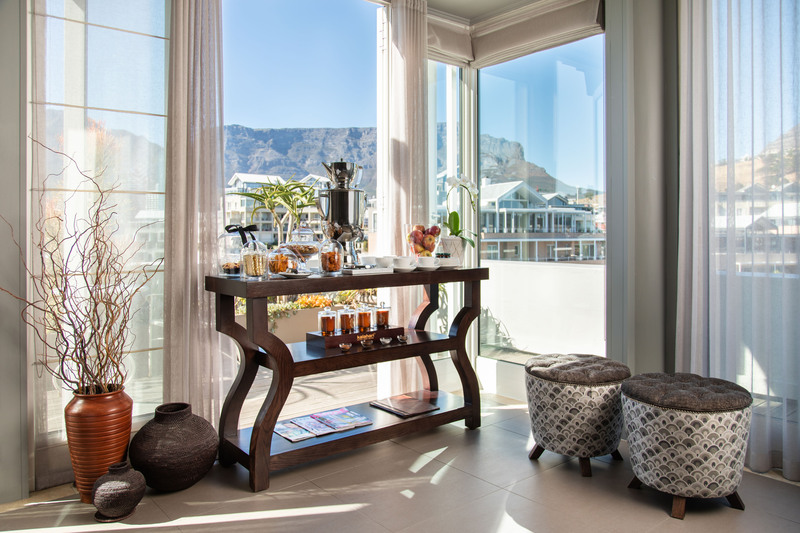 Lie back on a day bed and soak up the top floor views of Table Mountain and the marina below, or enjoy time out with a magazine whilst sipping from a freshly brewed cup of fragrant Ronnefeldt herbal tea. If you’re feeling peckish, help yourself to our complimentary Health Bar with assorted Muffins, Popped Quinoa Trail Mix, Turkish Apricots, Dried Mango and our ever-popular Cape Grace Health Bars. Top off your treatment with a few clarifying minutes in the sauna before rinsing away any vestiges of stress in our rain shower. Finally, cool off with a refreshing glass of Rooibos iced tea or bottled water– available throughout the day. Soothe tired muscles with a massage inspired by authentic African remedies coupled the combination of ancient and modern techniques. 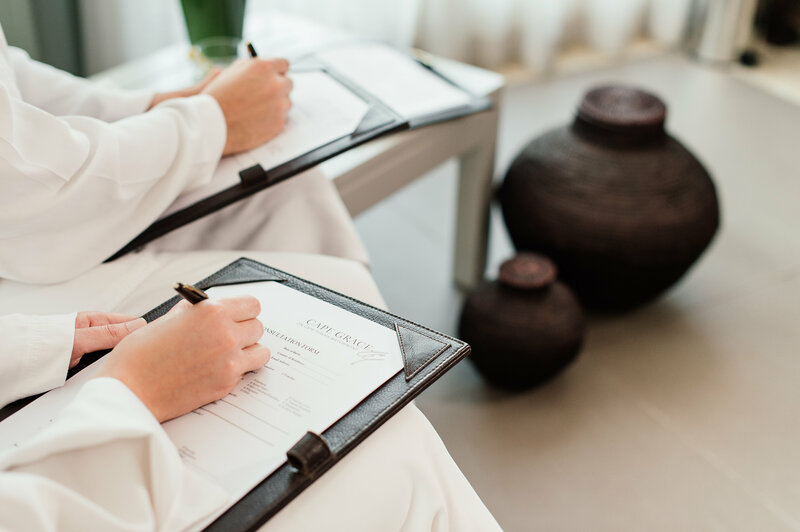 The Spa’s treatments, with oils and scrubs derived from the Kalahari Desert landscape, reflect the strength of our African heritage and promote restoration of the entire being. A pre-treatment consultation will determine your exact needs – from stress relief to pain management or body balancing; allowing our skilled practitioners to advise on the best massage to encourage your optimal sense of wellness. With world-class skincare treatments and proven, effective product ranges that not only combat ageing and boost skin rejuvenation, our therapists are able to treat and address a variety of skin conditions, enhancing your skin’s health and appearance. Relax and take the time to share your skincare concerns with our therapists. Their knowledge will help you to select a facial treatment suited to your individual needs. Feel pampered after we cleanse, scrub, massage and restore softness to hands and feet. Couple one of our Spa Manicures with a Spalicious scrub or combine a Pedicure with Mediheel treatment – designed to renew dry, cracked heels. Finish off with a Gelish® colour application for a perfectly polished effect that will last for up to three weeks. 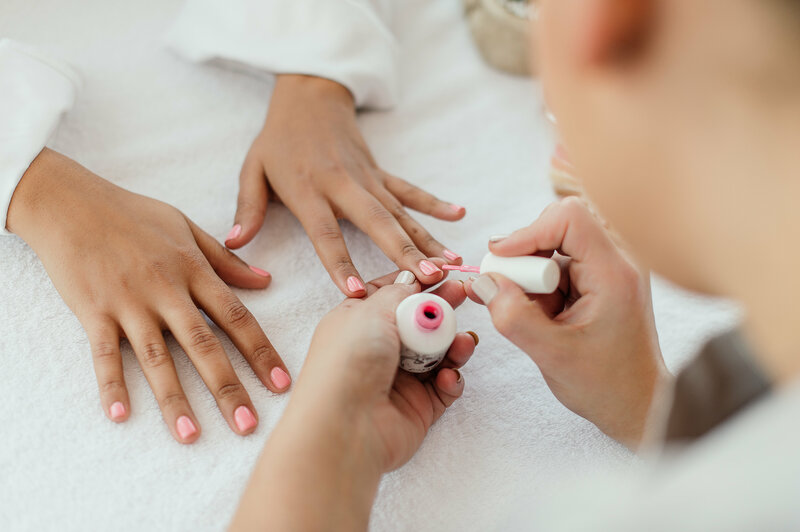 We understand that little ones enjoy feeling spoilt too, which is why we also offer Princess Manis and Fizzy Pedis for those under the age of 11 years. 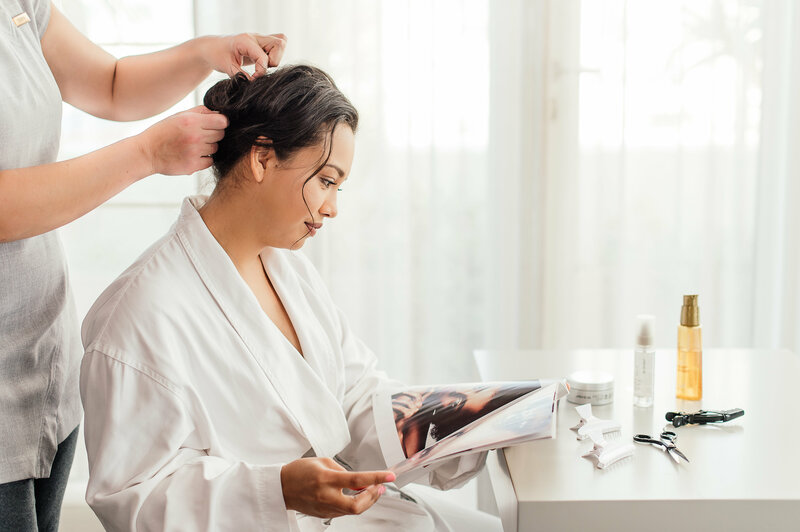 Whether it is a hairstyle for a night out or simply an indulgence after a treatment at the Spa, step into our transformative Hair Salon. We will treat, colour, cut and blow-dry hair, styling it to leave you feeling beautiful and ready for any occasion. Remember to enquire about our KERATIN REPAIR TREATMENT which rebuilds damaged hair, increases shine, elasticity and restores your natural hair strength by putting protein back. The treatment is perfect for frizzy, chemically damaged or naturally dry hair. Contact us for more information on our hair extensions or a personalised consultation. 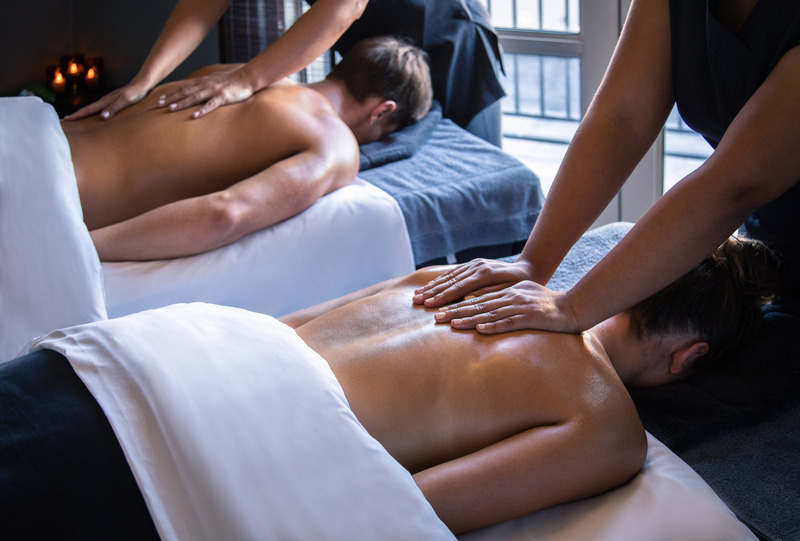 Treat a loved one, friend or colleague to a soulful day at the Cape Grace Spa. 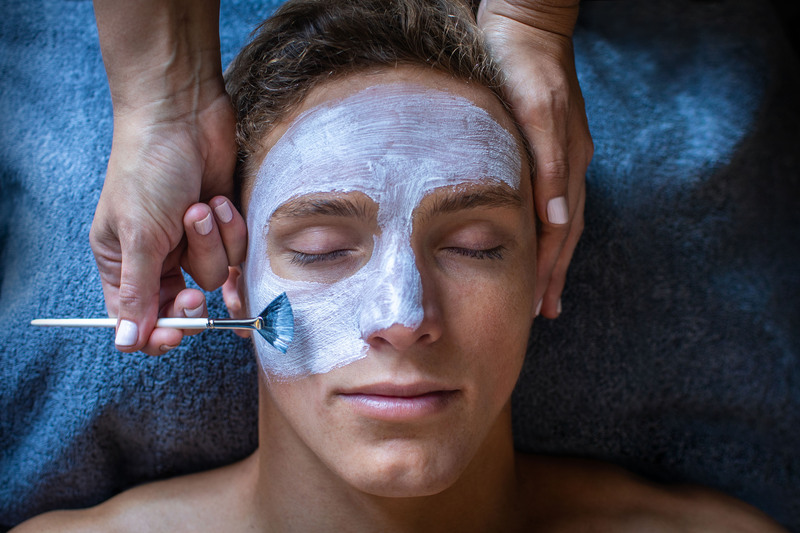 Choose from a half day package to an array of indulgent treatments from Massages to Customised Facials, Manicures and Pedicures – guaranteed to leave them feel feeling refreshed and deeply cared for. We focus on both the need to unwind as well as the desire to combat ageing and rejuvenate the skin with some of the world’s most effective, highest-quality products. Try our recently introduced Oxygen Energy Applicator – a machine that uses 95% pure oxygen to channel active ingredients into the skin. This boosting treatment can be incorporated into any of our facials, but is specifically effective in our Pigment corrector facial, treating signs of ageing at a deep cellular level. 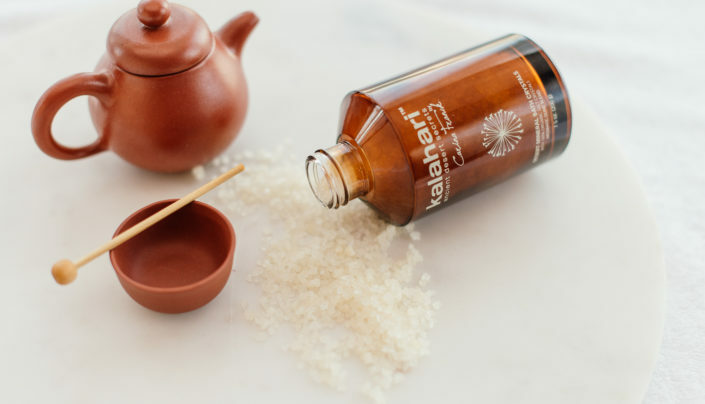 The Kalahari Spa Range is a unique range of naturally-derived products based on the ancient secrets of the Kalahari Desert.